Hello. I’m Dr. Shane Sykes. Welcome to my Sparks NV dental blog. 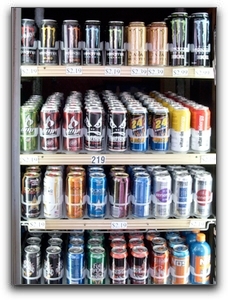 Today’s topic is energy drinks and the damage they can cause to your teeth. I am seeing more and more Reno area teens and adults with tooth enamel erosion caused by frequent consumption of sport drinks. Most of these general dentistry patients take good care of their teeth, brush and flush, and come into The Reno Dentist for a twice-yearly exam and deep cleaning. But guess what? If you drink energy drinks regularly, your enamel can erode even if you practice immaculate oral hygiene. Perhaps, like myself, you have often noticed young people walking out of Sparks NV convenience stores swigging 32-ounce energy drinks. I am concerned that Reno area teens do not understand the serious dental consequences of frequent acid baths. Our phone number is 775-322-5016. If you are interested in re-designing your smile, come in for an exam and consultation. With cutting-edge cosmetic dentistry, we can repair acid-damaged teeth and dramatically increase your face value.